This remarkable story comes courtesy of Mike Dash, an expert in 19th century European history. And it’s a story that really got started back in 1814 with Napoleon’s first banishment, an exile that saw him re-located to the small Italian island of Elba. But in a regrettable turn of events for his foes, Napoleon escaped and returned to France where he set up the famous Hundred Days campaign. So, in an effort to really and truly be done with him, the British sent Napoleon to St. Helena in 1815 after his defeat at Waterloo. But this time they meant business. St. Helena is a small island in the South Atlantic located about 1,200 miles from the nearest land. It’s also an island that features steep cliffs and has no viable landing places for boats. St. Helena was also guarded by the Royal Navy, along with a large garrison consisting of 2,800 men armed with 500 cannon. It was the perfect prison for the deposed Emperor — one intended to keep him there permanently. The British were right to be worried that he’d escape. According to Dash, there’s enough historical evidence to suggest that this plan was very real. 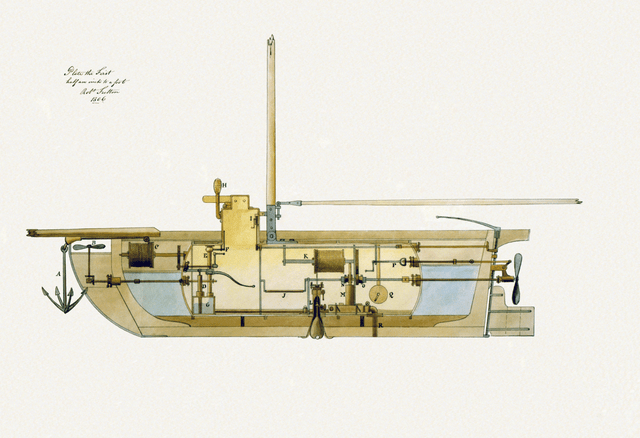 And in fact, Johnson likely devised the scheme after seeing a conceptual submarine design by Robert Fulton from 1806. Called the Etna, the craft would have been 40 feet long and crewed by 34 men. It would also have been armed with torpedoes — something Johnston had every intention of adding to his version of the underwater machine. 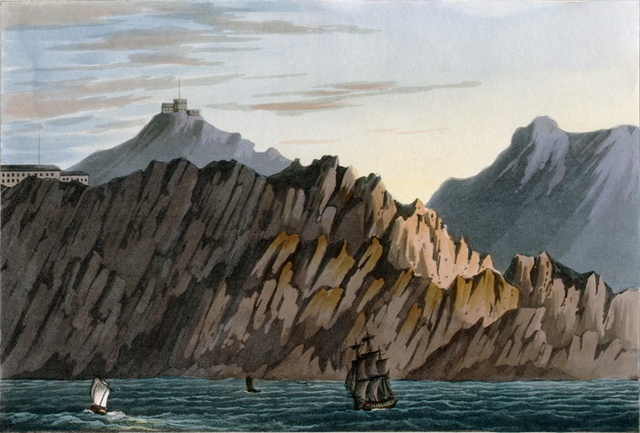 The narrative passes silently over the not inconsiderable difficulty of how such small vessels were to make the voyage south to St. Helena, and moves on to their appearance off the island — the Etna so close to the shore that it would need to be “well fortified with cork fenders” to prevent being dashed to pieces on the rocks. The plan then called for Johnson to land, carrying “a mechanical chair, capable of containing one person on the seat, and a standing foot-board at the back,” and equipped with the enormous quantity of 2,500 feet of “patent whale line.” Leaving this equipment on the rocks, the smuggler would scale the cliffs, sink an iron bolt and a block at the summit, and make his way inland to Longwood. 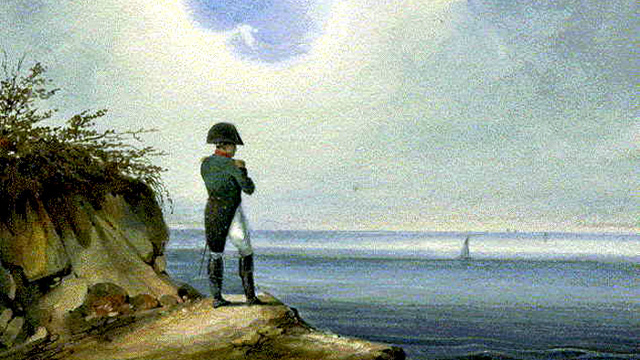 Indeed, Napoleon spent the rest of his days at St. Helena, dying in 1821. This entry was posted in The world's submarines and tagged Napoleon, St. Helena, Submarine on March 13, 2013 by jasonlockley.